Yes, I know what you’re thinking, because if you REALLY are in overwhelm you probably can’t even fathom what inner peace is. “I am Overwhelm queen, no one can be as overwhelmed as I am”– said ALL overwhelmed people everywhere. Seriously though, I model my business on walking the talk, so yes, I am an overwhelm expert and it ain’t always pretty. If you don’t know me, then you may not know that I have a beautiful, blended, modern-ish, multi-cultural, sandwich generation and special needs family. A true His, Hers and Ours family. It consists of our seven-year-old daughter, his special needs daughter, and my ailing 78-year-old mama. At least that’s who lives with us full time under our roof. He also has a daughter in a nearby town in University, and I have a break-out artist daughter in downtown Toronto. (Don’t worry I won’t quiz you later). We both have full time businesses, and 2nd businesses — like, who is doing just one business these days? 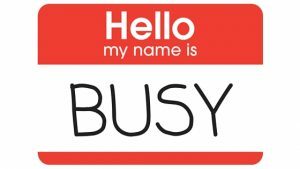 These days we all wear the “Hi, My Name is Busy” like a name badge at a networking party. We are constantly on the brink of overwhelm, in fact when we’re not overwhelmed, we’re bored. Okay joking aside, overwhelm is not fun. It leads to anxiety, stress, sleepless nights and nodding off at the wheel – serious sh*t. And I drew the line at the nodding off, when my husband admitted he did that few times. Research from the CDC showed that more than a third of drivers get less than seven hours of sleep per day, so it looks like he’s not the only — even scarier. Overwhelm also hits you at the most inopportune times, like when you kid decides to cute around when she has 5 minutes to catch the school bus. What might otherwise be a comic chuckle, ends up with you snapping at her or worst yet, an all out shouting frenzy. Overwhelm, zaps the joy out of being pleasantly present to life’s precious fleeting, fun, moments. Everything is in hyper lapse, so you can get things done. Eventually leaving you drowning in your to-do list, making you feel inadequate, not good enough and even helpless. For me, my overwhelm makes me want to give up everything, sell off all my worldly possessions, to buy a Sea-Doo and rent it by the hour, on some beach in the South Pacific. Yaasss life goals. But for now, I work through my “I chose to do this” to-do list. Here are some practical tips and spiritual rituals that have helped me deal with overwhelm. 1. Learn to say no. I’m a social bug, I love being with people, I love everything social, from meditation groups to masterminds to mix and mingle parties. I can’t do it all, see my kids and adult with my husband, a few times a week. So, I carefully plan and space out, outings, and sometimes even RSVP last minute if there’s availability, should the time slot open up. Know, that you will always find yourself in the right place at the right time, no matter how many times you opt out. And there’ll always be an opportunity and in the rare case, where there really was a limited supply, well then, it happily went to someone else and it wasn’t for you. 2. Delegate. Trust that someone can do as good, or almost as good a job that you can. Even if it’s your husband making a hair bun for your budding ballerina. 3. Chunk it down. This is when you take the big task and start with a small step. And be happy with whatever progress you make. Effort is progress, just keep on it, one small chunk at a time. 4. Be a time bender. Remember that most things will take 2x the amount of time, that you plan. Accept that your best work, may take more time and that unless it’s a life or death situation, chances are, it will be okay to not make your deadline. 5. Meditate or start meditating. I cannot tell you how much this has kept me grounded. I received a text from a girlfriend, who was having trouble with her partner’s ex-wife, and this sweet friend of mine wanted to “punch her in the face” and then said to me, “No wonder you do so much spiritual work!” Yup, I have ex-wife woes too. Meditation is the best way to re-fuel your energetic and emotional reserves, by far, there’s a reason this practice has been around in both the religious and non-religious, for thousands of years and now it’s backed by science, and it starts with the next point…. 6. Breath work. Don’t forget to breathe. A former fitness client of mine, and high-level executive, told me that she enjoyed our workouts together, because it was the only time in her day, she was able to breathe deeply. (You know inhale at the exertion and exhale on the return). The simple, free, flow, breathing, is more than enough to start with. Breathing in through your nose, expanding your lungs to the abdomen (diaphragm) then exhale it all out through your mouth. Before you know it, you will be meditating. Your breathing changes with every emotion you have. Master your breath and you will master your life. 7. Channel your energy somewhere. Energy, especially stress energy needs to be released from your body, physically and energetically. We all know the perils of harbouring toxic, stress energy in your body. I like to do the etheric “cutting cords”. It’s a like a karate chop, around your body, especially around your torso area (solar plexus chakra) and declare, “Cutting away, and disintegrating all negative energies that no longer serve me, dissolve it out into the universe!” Chop! Chop! Here you are setting a powerful intention, to free yourself of negative energy. Here you are marrying the Physical with the Non-physical, powerful stuff. 8. Get grounded. Get outside, and barefoot in the ground if possible, if not then sit or lean against your favorite tree. As you do this, give quiet thanks to Mother Earth for her rejuvenating powers. This also works as well, with your face to the sun, or even to the moon. Riding the gratitude stream is the one of the most powerful waves you can surf on. 9. Talk it out. Preferably to someone, who is a really good listener, opinions and suggestions aren’t needed, you just need the opportunity to again release and get it out of your head. I give this time of quiet to You. Where all is peace and love. 10. Journal. If you haven’t started the habit of journaling, then sticky notes work great too. Again, another method to get the energy of overwhelm out of your mind and body. Take notes as to why you’ve chosen to do what you do. Are you doing work that is leading with service or leading with the heart? Is there a shift you can make in your perception of the work you do, that serves the highest intentions, for your clients, co-workers or project? Remember to end your Journal input with a note of gratitude. I really do think you can have it all, it just may not come as fast as you wanted it to. But rest assured, you only need to take one step at time, and on the good days, feel free to lunge over two. 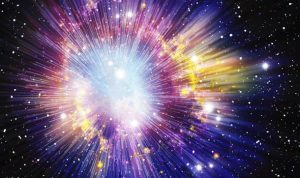 The universe was made from a mass of what looked like total chaos, only to precisely come together after billions of years, and be intimately intertwined with each other, then go on to birth the 8.7 millions of species, inhabiting the Earth today. We’re made of this same chaotic star dust, so never underestimate, the possibilities that we can create, by taking it one deep exhale at a time. If you want more details on these tips or rituals, or anything else you are curious about, do feel free to connect with me, after all, if you want anything done, give it to a busy person. 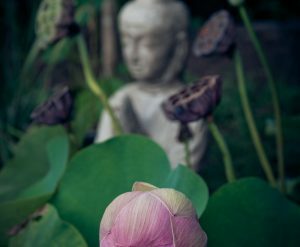 In this holistic, life coach program, we go to the root and re-discover your Core Essence. Transform your Inner World, to transform your Outer World.